Commemorate special events and awards with our high-quality sublimation plaques! 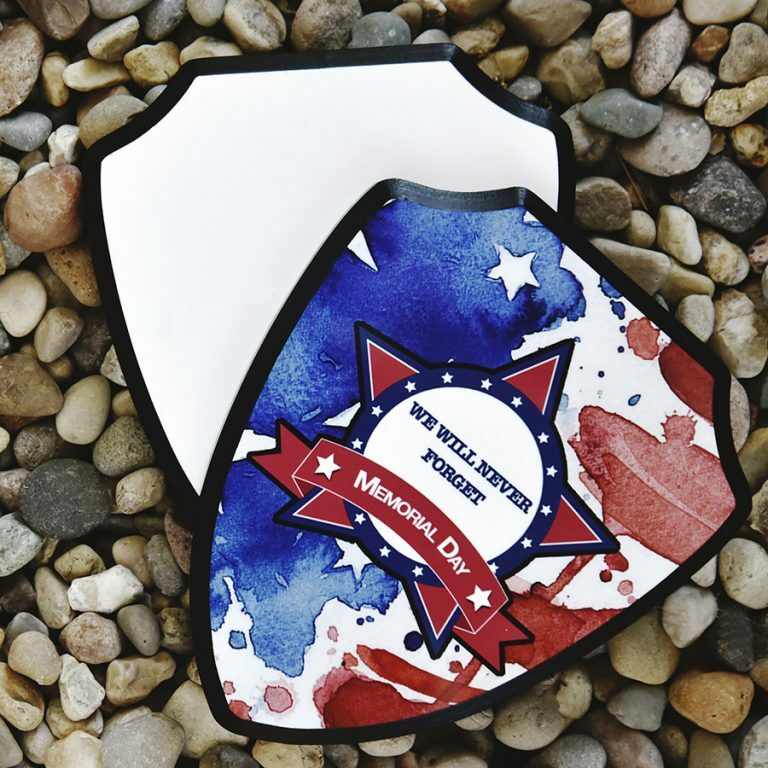 These plaques are perfect for sports teams, employee recognition, or honoring a special hero. Pressing these sublimation blanks can be easy when done correctly. That’s why we’re providing you with these tips on getting professional results while avoiding common mistakes. We used the shield award plaque, our small format Sawgrass Virtuoso SG400 printer, and Image Right R paper. The nice thing about sublimation is that you can use any computer program to set up your design. However, for odd shapes like our shield plaque, it’s best to use a template. We offer templates in PDF and EPS formats. For more information on how to use templates, click on one of the following programs to check out our Youtube video! For Sawgrass Virtuoso users, try out Creative Studio, which you can find on the Sawgrass website! 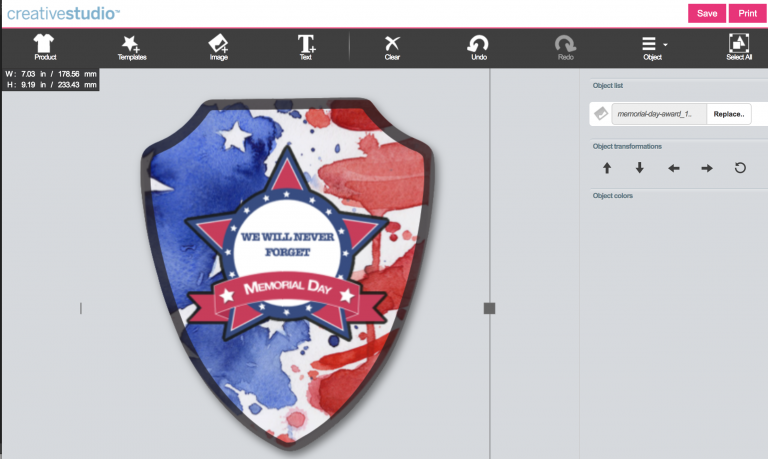 Creative Studio makes everything so much easier by providing a template in which you can easily upload your own image. Check out our webinar video on how to use this online program. Don’t forget to print your design in reverse. The Powerdriver (the color correction driver) for Windows automatically mirrors the image, but if you are a Mac user, you may have to do that manually depending on your sublimation printing system. if you are using Image Right print on the bright white side of the paper! Pre-Press To Avoid a Mess! Any hard surface sublimation blank should be pre-pressed to eliminate moisture. 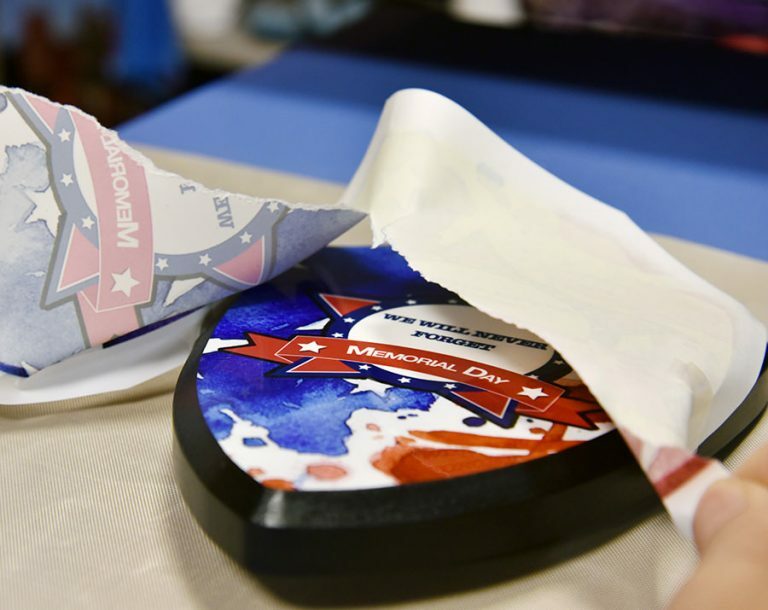 Heat your press to 400° F, place your blank on the heat press face up, and cover it with a protective silicone sheet or polyester fabric. We don’t recommend using Teflon for this step as it traps moisture. Close and press for about 40 seconds. If you see a lot of steam or moisture collecting anywhere on the lower platen, press again for additional 40 seconds. The award plaques are fairly thick and have a beveled edge, which can sometimes diminish visibility when aligning the design. We recommend trimming the paper close to the outline of the shape. Put the paper face up on a flat surface and align your plaque. 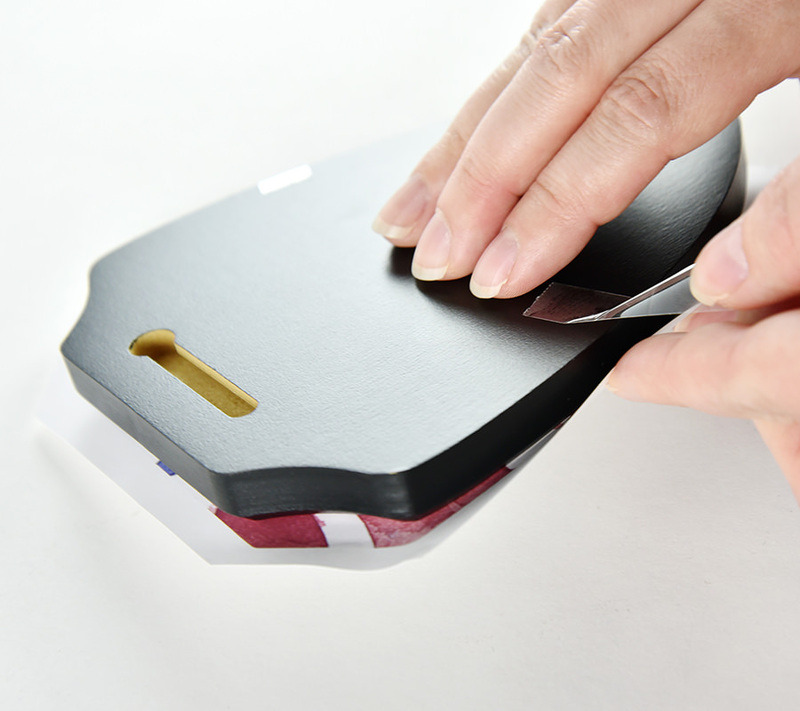 Hold both the paper and the plaque firmly while you carefully tape them together for added security with thermal tape. We pressed ours for 40 seconds which resulted in a perfect edge to edge sublimation! Peel away the paper immediately after the time has elapsed. Be careful to not shift the paper while the blank is still hot as that may cause ghosting and blurry image. The finished plaque should look flawless throughout. If there are any spots that look lighter than others or faded edges, try increasing your pressure and double checking that your temperature is consistent on your heat press platen. Do you have finished plaques you want to share? Tag us on Instagram (@coastalbusinesssupplies) and use #personalizeyourprofession.